See a plant that you like? Your purchase is greatly appreciated and will support the Never Enough Dirt YouTube channel. Payment is accepted through Paypal or USPS Money Order. Seed prices ranges between $2.50 to $4.50 + shipping and handling* (lower 48-states, United States). 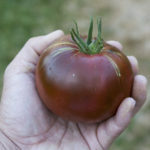 Many of the plants that you see here or on the Never Enough Dirt YouTube channel are heirloom varieties grown in my garden here in Zone 10b / Los Angeles area / Southern California. As such, the seeds can be saved for planting year after year. 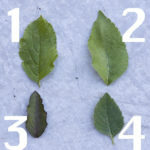 Moreover, the seeds offered are seeds from the best plant/fruit. These are seeds that I will plant for myself in my garden. Thus quantities are limited. **Because nature is nature, seeds can sometimes have a mind of their own. Thus the purchase agreement is: liability is limited to the purchase price of the seeds.